Not Just Another Southern Gal is a personal blog that started out as a hobby, but has become more focused and serious on product reviews, that is geared toward fashion, beauty, mommy, baby items and everything in between. It is a Lifestyle blog, that blends all these things, and more. Recently, Not Just Another Southern Gal has incorporated travel and restaurant reviews. I work full time during the week and spend my spare time reviewing, writing and posting updated posts on Not Just Another Southern Gal's blog. 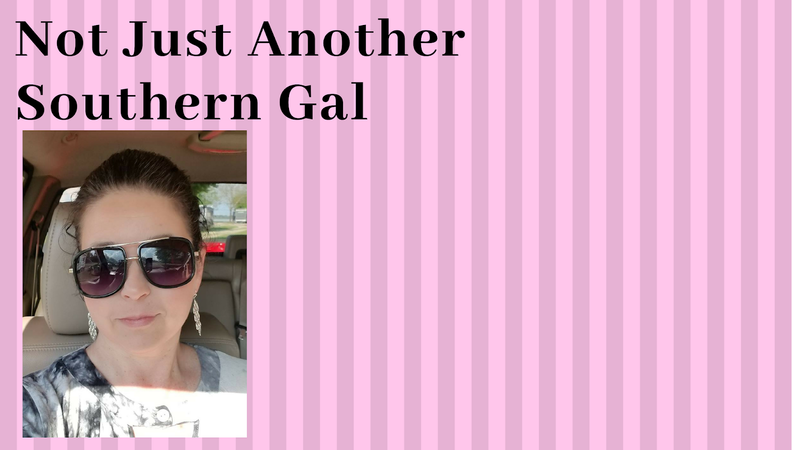 Not Just Another Southern Gal is open to companies and sellers, who wish to have an item reviewed, as long as it follows the niche of Not Just Another Southern Gal's blog. Would you like for Not Just Another Southern Gal promote your events? Or maybe you have a city, restaurant or hotel you would like reviewed. Not Just Another Southern Gal would love to collaborate with you! All I ask in return, is full compensation of food and complimentary hotel stay, if an overnight stay is required. I love to travel and explore new places I've either never been or a place I love! I love going to events, attractions, open houses and press events. If you have a local event within 50 miles of Southeast Missouri, I would love to work with you. ALL THAT IS REQUIRED: 2 tickets to the event/press coverage with VIP passes. I love food! I love to experience new places, food and a restaurant's atmosphere. I love to learn more about the restaurant's background and their story. I would love to review your restaurant, get to know your business and you! ALL THAT IS REQUIRED: Full complimentary meals for two guests. Not Just Another Southern Gal will not accept coupon codes (unless shipping charges are free). Products that are sent by the company or seller, will be kept as compensation by Not Just Another Southern Gal. No other compensation is required, but the product or service, itself. Please allow at least 4-5 days for review. I want to do your product justice, so allowing this time will ensure you get the best possible review. If a product is received, damaged, Not Just Another Southern Gal will contact you, prior to the review, to give you a chance to fix the situation. If I haven't heard from you in a week, I will continue with my review, but cannot promise a positive one. If you would love to work with me, just shoot me an email. I would love to hear from you! Please don't hesitate to contact me at: jeni_fini@yahoo.com.